In 1966/1967, with the outlawing of offshore radio on the horizon, Radio Caroline boss Ronan O'Rahilly arranged for workmen to take over the disused Roughs Tower anti-aircraft fort. Eighteen miles from Southend, it was safely outside territorial waters. A French aviation company, L'Aeronaute Ltd., was commissioned to convert the fort into a supply base for Radio Caroline South. They cut away some of the wartime superstructure, threw the anti-aircraft guns into the sea and constructed a helipad. Ultimately all the hard work and expense did not benefit Radio Caroline at all. 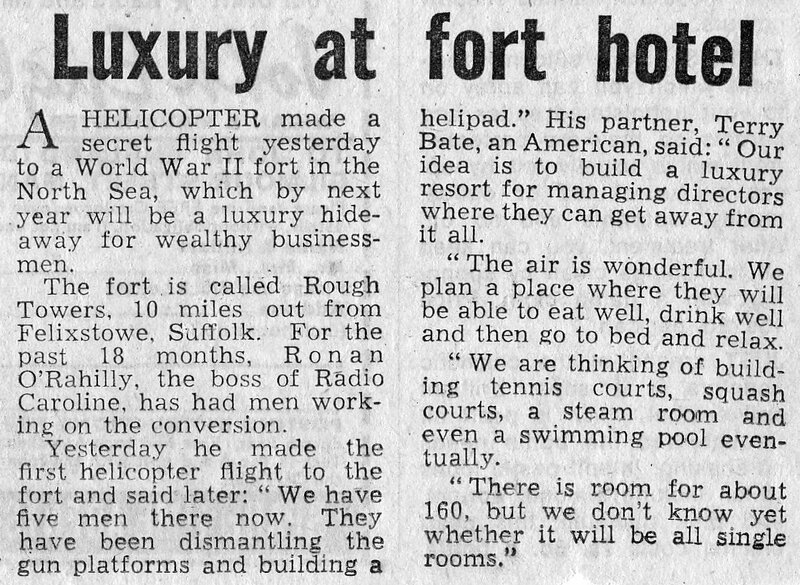 Roy Bates, the former owner of Radio Essex, moved in while the fort was unoccupied. He and his men claimed squatters rights. They set up defences and, when the Caroline staff tried to return, they were fought off (see cuttings). O'Rahilly was forced to give up Roughs Tower. 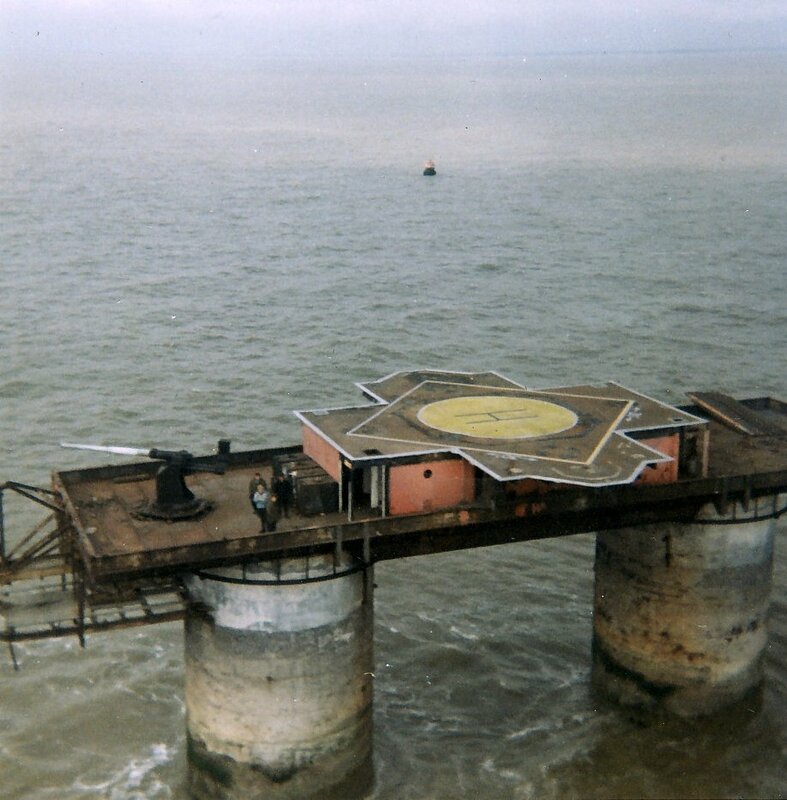 Roy Bates went on to establish Sealand on the fort - his own independent country. 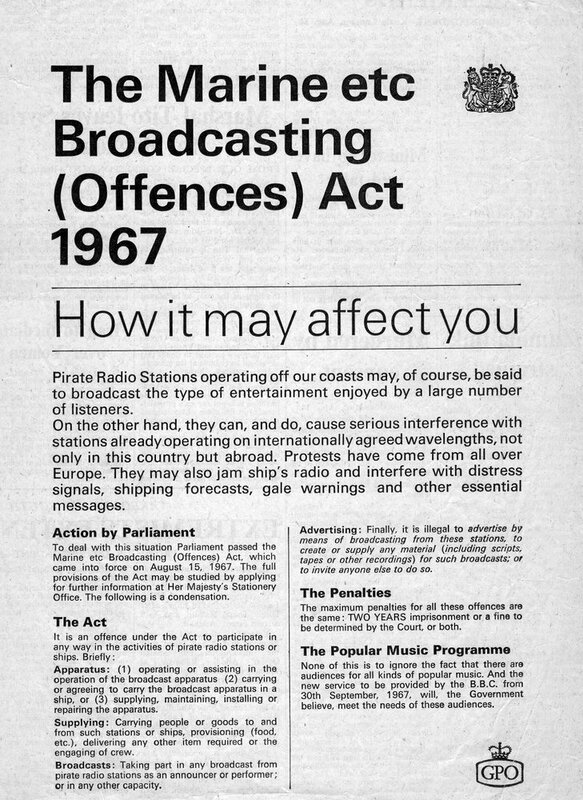 Terry has also forwarded this press advertisement which, as he says, “ran in all the UK dailies” in 1967.